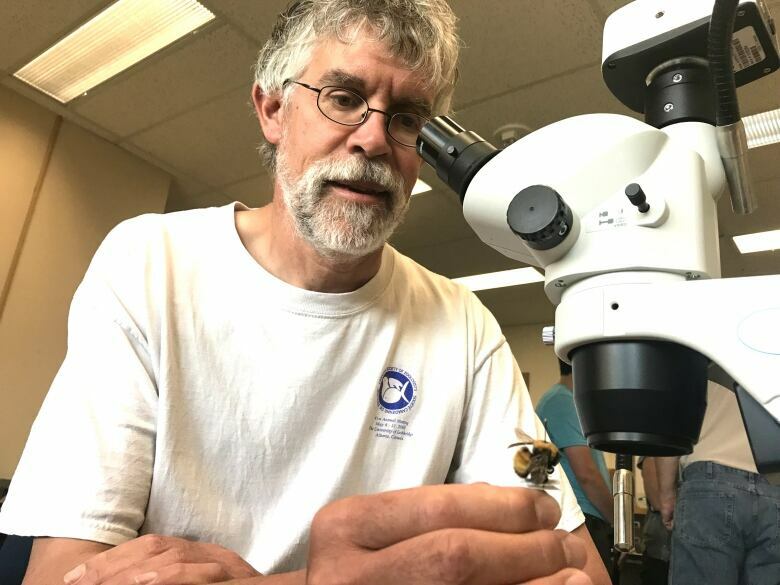 University of Calgary researchers are all a buzz in the midst of the most robust bee count in the province's history, and they're looking for the public's help — from those not too squeamish to get hands-on, that is. John Swann is blow-drying a dead bee in his lab at the University of Calgary. 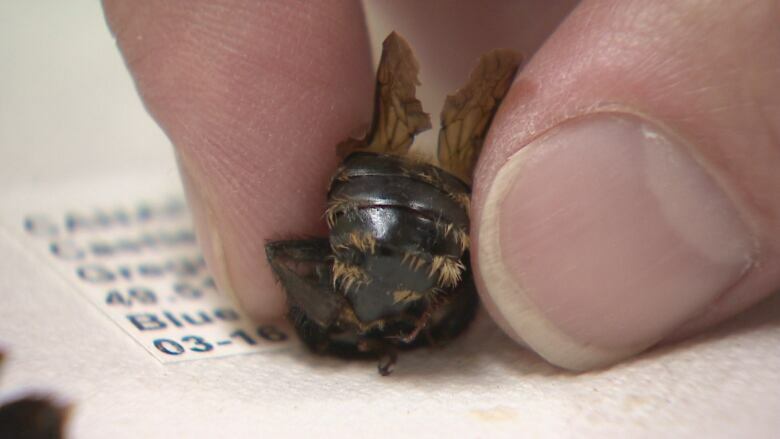 As the head of invertebrate collections, he says it's a critical step in identification. "Believe it or not, to identify them if they have a bad hair day, it's hopeless. We have to actually blow dry them and see their patterns of hairs to identify them." Volunteers are needed to help with blow-drying the insects. 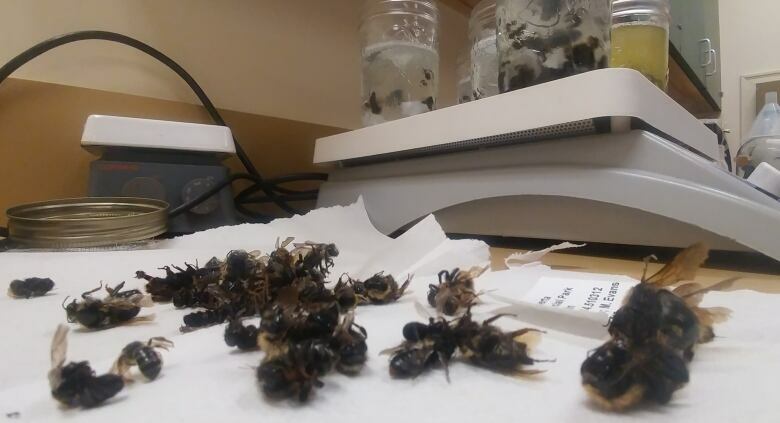 Swann is working with the Alberta Native Bee Council to help educate Albertans on how to properly wash, dry, pin, and label the thousands of wild bees being collected across the province. "It isn't that hard and it's strangely satisfying to take these sort of mangy looking animals to start with and in the end you have something that looks like a little teddy bear." This bee count will provide researchers with a baseline of all the different kinds of species in Alberta. That's important because current information has been largely anecdotal, says Ralph Cartar, associate professor of biological sciences at the U of C.
"So far we have lots of point studies but nobody in Canada has done a systematic study. From that we can figure out what bee species exist here," said Cartar. 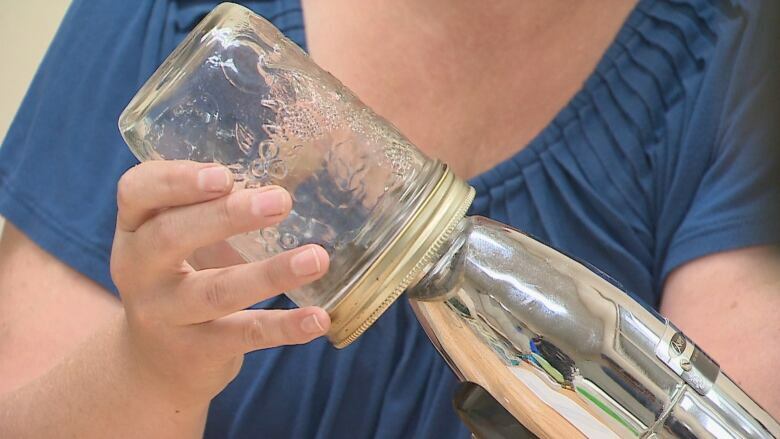 "We don't know in Alberta in a broad way which ones are at risk. All we can say is some species are increasing and some species are declining." He says the goal is to repeat the count every five years.